I am never one to count the chickens; but after having watched both the Philippines and Turkmenistan square up against the Cambodians, I rather fancy our team’s chances of reaching the Challenge Cup tournament proper in the Maldives. The statistics say that the Philippines have scored one more goal than the Turkmen; and this, if you saw the latter play against Cambodia, is the anomaly. Against Turkmenistan, the Cambodians laid out the welcome mat; and that their opponents scored seven should never have been the talking point. What should have been was that the Turkmen should have scored so much more than the seven that they actually did. I have seen young girls defend with more conviction than the Cambodians did; and so the Turkmen’s profligacy, for me, is a source of optimism. They cannot expect the same spirit of generosity from the host team tomorrow; and truth be told, as we all saw in the Suzuki Cup, when the Philippines close shop for the day, they can be exceedingly frugal at the back. It was also never as though the eight goals would have won the group for us. It is comforting to know that a draw will now be sufficient; but a victory over Turkmenistan will not only win us the group, it will bring us bragging rights against a higher ranked team. It is upfront, however, that I draw more optimism from. That new lad Javier Patiňo is simply manna dropped from heaven; and further proof that the gods of football are looking after our team. He is mobile, intelligent and is a team player as opposed to one who plays to seek personal glory. Although Phil Younghusband stole the limelight with a deserved hattrick, Patiňo’s brace is evidence of a natural striker. His second, in particular, when he made room inside the box despite the close attention of defenders; and the alacrity with which he despatched the ball goalwards showed the instinct and deadliness of a predatory animal. Younghusband, by his own standards, had a rather tepid Suzuki Cup late last year. Patiňo’s mere presence seems to have rejuvenated him already. For one, the Fil-Spaniard offers a friendly reminder that there will be options when Younghusband goes through his bad hair days. More importantly, Patiňo commands attention from defenders as well; and this gives time and space to Younghusband that he will not, otherwise, have. As for Stephan Schröck, one runs out of superlatives trying to describe his performance against Cambodia. He is the jewel in the crown of the national team and gives us the dimension that we seldom have the luxury of enjoying if he is not on the pitch. Being deployed on the flanks, arguably, suits him better than the central midfield role that used to be given to him. Out wide, he does not have to worry about what lurks behind him and can face, taunt and mesmerise defenders with his trickery. Against Cambodia, he was utter joy to behold, even when he showboated at times. All well and good, though. It raised the entertainment level even more. While all the fancy footwork was attractive to watch, Schröck’s real value to the team is not only the seeming inexhaustible zest that he brings to the pitch but also how just being there raises everyone else’s game. Paul Mulders’ red poses a bit of a concern going into the match against Turkemnistan. On the one hand, you cannot kick the ball against an opponent whatever your intention is in doing so. On the other hand, petulance notwithstanding, a yellow would have sufficed. The Sri Lankan referee needs to take a refresher. In the midfield line of Schröck, Mulders, Jerry Lucena and Angel Guirado, Michael Weiss had balance and fluency. It hardly seems fair that we will not be able to deploy one vital component of that balanced midfield on account of a mystifying refereeing decision. One man’s misfortune – they do say, however – can be another man’s opportunity. Indeed, despite the silky passing patterns of the Philippines against Cambodia, Carli de Murga apart the crossing was not of the highest quality. 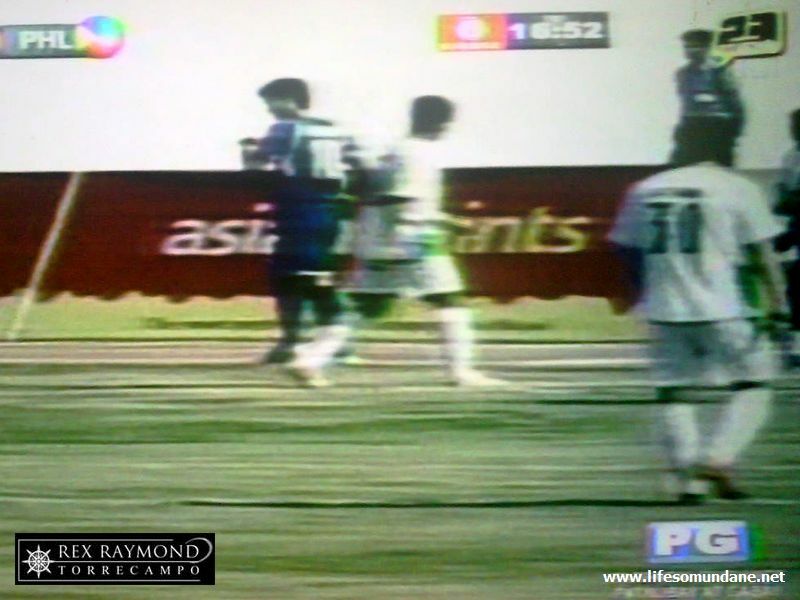 I hope that James Younghusband is considered against Turkmenistan. The older Younghusband has not been his old self of late; and, indeed, in the Suzuki Cup his form bordered on the indifferent. That said, I consider him the team’s best crosser of the ball and will bring experience to the pitch as well. Which is why I was mystified that no substitutions were made by Weiss against Cambodia, especially in a short tournament with the next opponent enjoying the benefit of more days to rest. Whoever takes Mulders’ place in midfield – whether James Younghusband or somebody else – comes in cold against a strong opponent. I can understand the need to chase eight goals to overcome Turkmenistan’s goal tally. However, there was enough quality on the bench to have enabled us to rest some of the starting players without compromising the quality on the pitch. And one, lest anyone forgets, that ‘stole’ from us a place in last year’s Challenge Cup final. Still, having seen all three teams in action, I am quietly confident and optimistic that our boys are well-capable of obtaining a favourable result against the men in green. Turkmenistan will enjoy a slight advantage in physique; but we enjoy an edge in individuals.